Autumn brings to mind nature and the warm hues that are so cozy to look at. Bringing those textures and colors into the home makes an environment that is instantly comfortable and inviting, which is why I love decorating for Fall. There are also plenty of ways to make your own decor items, using those beautiful items found in nature….or at least replicas! 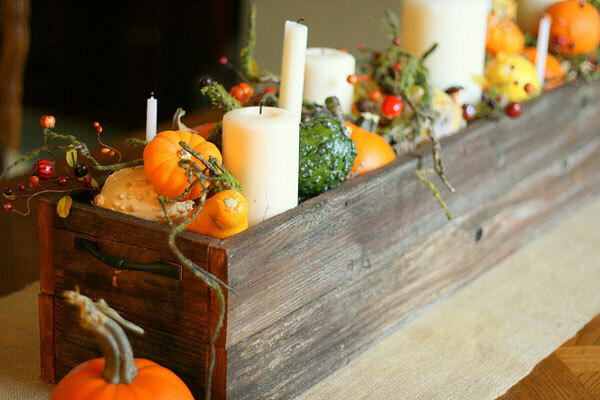 I gathered up a collection of Fall craft ideas for the home for a little inspiration. 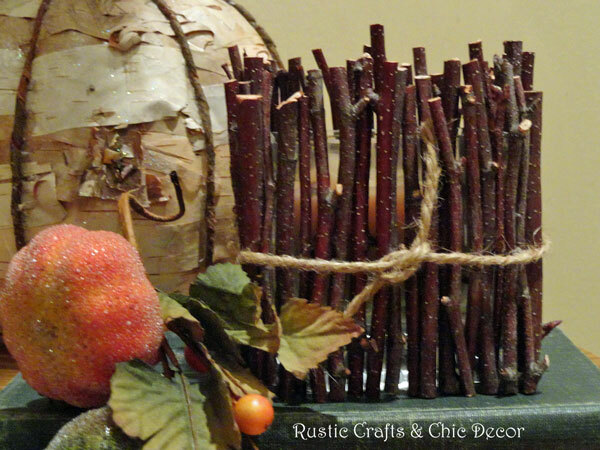 For this grouping, I combined a couple of craft items made from birch branches and bark with an Autumn floral pick and a vintage book in an Autumn hue of dark green. The candle holder was easy to make with some easy to find branches. You can use any kind for this craft. The branches warm up an ordinary glass candle holder. Find the instructions for this craft at my Branch Craft tutorial. You can see how to make the pumpkin at Birch Bark Pumpkin Craft. 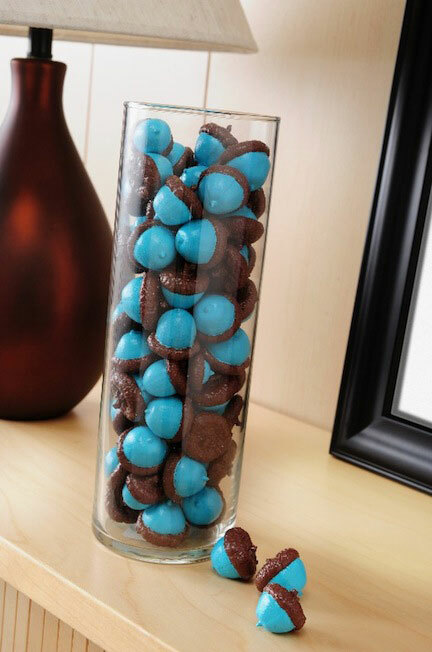 Painted acorns allow you to coordinate the vase filler with the rest of the decor in your room. Maybe the Autumn hues don’t quite fit into your color scheme, then you can adjust the color while still incorporating a little nature in your home for the Fall. 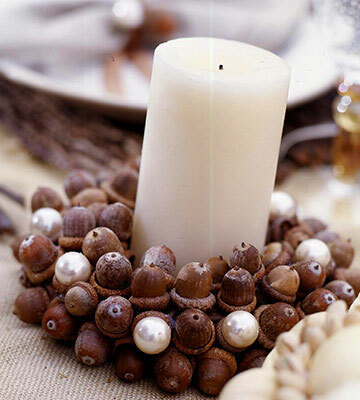 Simply throw in a handful of pearls into the mix of these acorns to make the Acorn and Pearl candle holder.